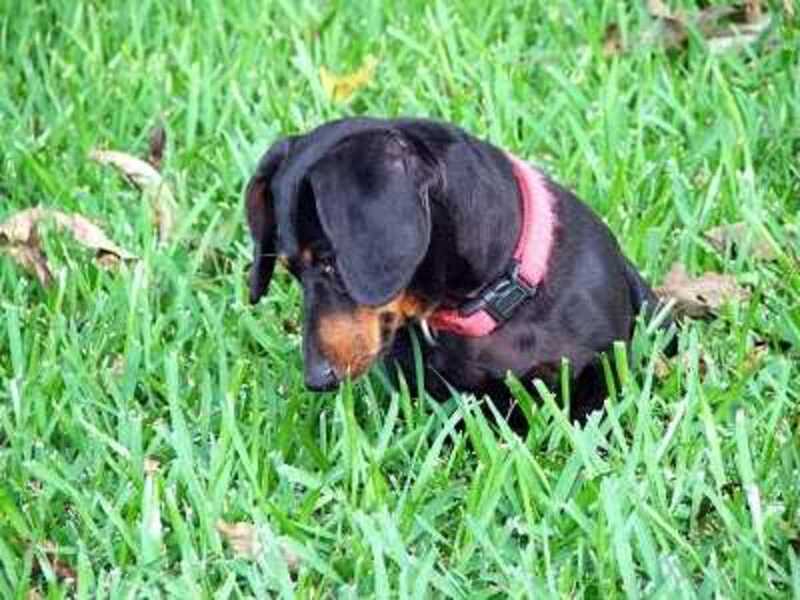 Dog eating grass: Is your dog grazing more than sniffing around when you take him for a walk? Do you ever wonder if you own an odd member of the ruminant species instead of a canine? Does your dog crave fresh grass just as he craves yummy treats? No need to worry, more often than not your dog is just being normal. However, lets look at a few reasons why your dog will eagerly seek a pasture instead of a dog park. Dogs do crave their samples of greens every now and then, so nothing to really worry about. In nature, actually dogs will sample grasses, sticks, wood, fruits and berries. Just as humans may crave crunchy salad, dog may crave grass. Makes quite sense now, no? Dogs in the wild may not eat every day. Prey after all may not always be accessible. Therefore, dogs have a bit of a scavenger side, where they will eat what they find and this may include, rabbit feces, sticks, old bones etc. You may already have noticed that if left unsupervised, your dog will likely eat just about anything he finds in your home, cat litter, pens, pencils or even your son’s diaper. However, in some cases, dogs with an upset stomach will naturally look for grass to get relief. The sharp blades of grass or its particular texture will somehow elicit vomiting, causing the dog to feel better when they have an upset stomach. It seems to be a life long instinct preserved throughout the many years of survival. Even cats after all, tend to eat grass when they have hairballs to get rid of. If your dog is an avid grass eater, try to supplement his diet with some green beans or broccoli. This may cut off some of his desire for grass. It could be your dog is simply looking for food with a higher fiber content. Ask your veterinarian about special diets rich in fiber. Grass can be a healthy treat. However, nowadays grass may prove more harmful than beneficial if it was treated with herbicides or pesticides. If in doubt, do not let your dog graze on grass you are not sure of. As seen, dogs have been eating grass for many, many years in the wild. This instinct has still made it through the years today. Don’t pull your dog away should he demonstrate the desire to eat some grass. Just make sure the grass has not been treated, and then treat your dog to a healthy dose of greenies. He will certainly thank you if he could!